When a coworker decides to retire there’s a good chance your office or workplace will do something to celebrate them. This might be in the form of a party or gift, but one thing you can be fairly certain is they’ll get a retirement card. 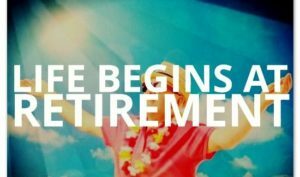 And that means you will need to include your own retirement wishes for a coworker. Don’t worry though as this doesn’t need to be too extravagant or over the top. You can of course go into how much they meant to you or how much you will miss them, if that’s the case. But you are free to keep it very short and simple as well. Judge the type of message you want to write on your relationship with your colleague and how close you are. So use one or more of the retirement wishes for coworker below. You’re free to copy them as they are, change them slightly to fit your situation or as inspiration to write your own. I could almost envy you all those free hours away from crazy and complaining clients, phones that ring endlessly and sometimes too high expectations from the superiors. Those end now. Enjoy your retirement, my friend! I just want to say, “Thank You.” You always listened, you always had something constructive to say, and you always offered support and encouragement with an unflagging spirit. I’ve learned so much from you, and I will miss working with you. Keep in touch, please. Now go… go on, get the skis out, find the canoe, get started on the “to be read” pile. Enjoy! You deserve it. This company grew because you were a very important part of it. Now that you are leaving we know that you will be irreplaceable and much as we would have liked you to stay on the time to say good bye has come. You will surely be missed. You’re an important part of this company and now you’re retiring, you’ll surely be missed. I pray that you enjoy all the years ahead. Happy retirement. We have had our good days and bad days here on the job but one thing that I learned about you is that you never give up and you never bow down in defeat. May this courage and strength take you far, and may you enjoy your retirement. 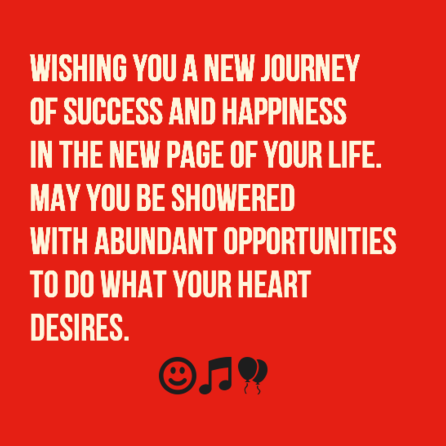 Best wishes to you. You always dreamed of being your own boss and now it is finally happening. From today and onwards you are answerable only to yourself, take coffee breaks when you feel like, your lunch breaks can be as long as you want them to be, and best of all you don’t have to come to work at all. Happy retirement to you. To say you will be missed seems like such an understatement. You are one of those rare people who instantly became a friend instead of “just” a coworker. There are no words to truly reflect how much we will miss working with you. Not to worry, though, I’ll stalk you on Facebook! Now, get out there and show the world just how much fun is possible. 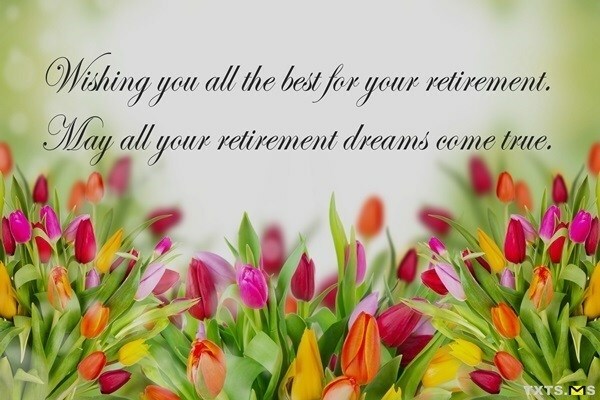 Best wishes on your retirement. Enjoy the opportunity to do wonderful things just for you. Thank you for brightening our days on job with all beautiful moments that you gave to us. Thank you for the incredible energy that you brought into our team. You indebted us! Happy retirement! I wish from the bottom of my heart to say – I couldn’t have wished for a better coworker. Enjoy your retirement and continue to spread your positive energy! Happy retirement!